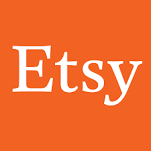 Etsy is looking for an experienced Engineering Manager to lead the Core Platform team. Core Platform acts as the bridge between Etsy's product & technical infrastructure. They do this by partnering with engineering teams from across the organization to identify, build, & operate services & APIs that make Etsy's technical infrastructure accessible to our Product Engineers. This role will report to the Director of the Product Engineering Systems organization. Core Platform is responsible for providing abstractions that make it simple for Etsy's product engineers to access Etsy's infrastructure. Core owns Etsy's key/value data service & change data capture pipeline, & are hard at work building a new database abstraction layer to break the ties between our application logic & database topology. Core Platform plays a role in many of Etsy's platform initiatives & is a key player in Etsy's migration to GCP & other cloud initiatives. We're looking for an Engineering Manager to take on a team of 7 engineers & apply their experience to help push Etsy's technology & people processes forward as we continue the journey from our data centers to the cloud.